Gartner estimates that by 2020, 80% of new deals for cloud-based CASB will be packaged with network firewall, secure web gateway (SWG) and web application firewall (WAF) platforms, making web applications the most vulnerable part of your network. Hence, keeping your website secure is very important. Here are some smart tips and tricks to enhance your website security! Understand the importance of website security, its basic aspects and steps for implementation. At Logix Infosecurity , our mission is to help companies to stay protected and safe. We want every organization to take preventive actions before they are victim of Phishing, Spamming, Spoofing or Ransomware. 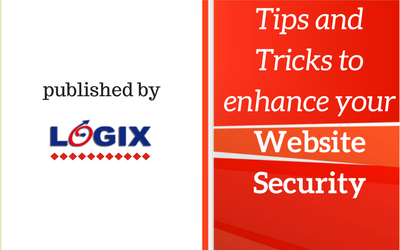 In this ebook you will get smart tips and tricks to keep your website secure. Share Details and Get Instant Access to Ebook. Fill up the details to get instant access to the ebook.